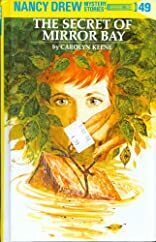 For cliff-hanging suspense and thrilling action read THE NANCY DREW MYSTERY STORIES -- the world's most popular mystery series for young readers! Millions of fans have matched wits with Nancy Drew, helping her solve more that fifty baffling cases. [Excerpt from back cover's notes.] This collection includes the "Two Original Mysteries Back-toBack" edition.